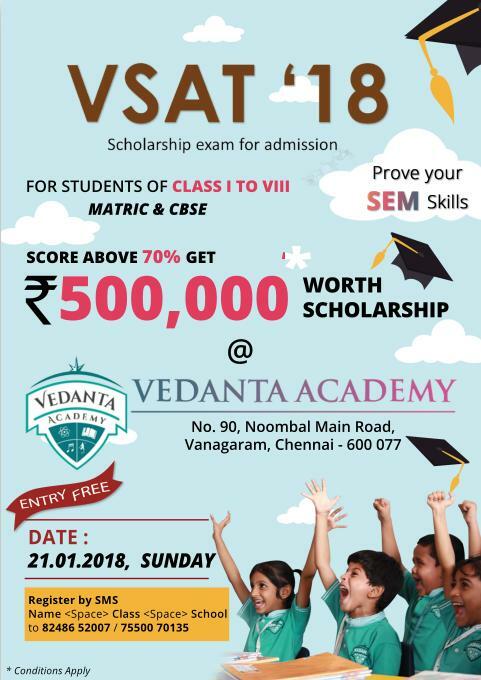 To recognize the students ‘elementary skills, Vedanta Academy (CBSE), Vanagaram is conducting Scholarship Exam VSAT ’18 for the students getting admission into Grade I to VIII. The students who excel with their scores above 70% in the exam will be eligible for the scholarship. 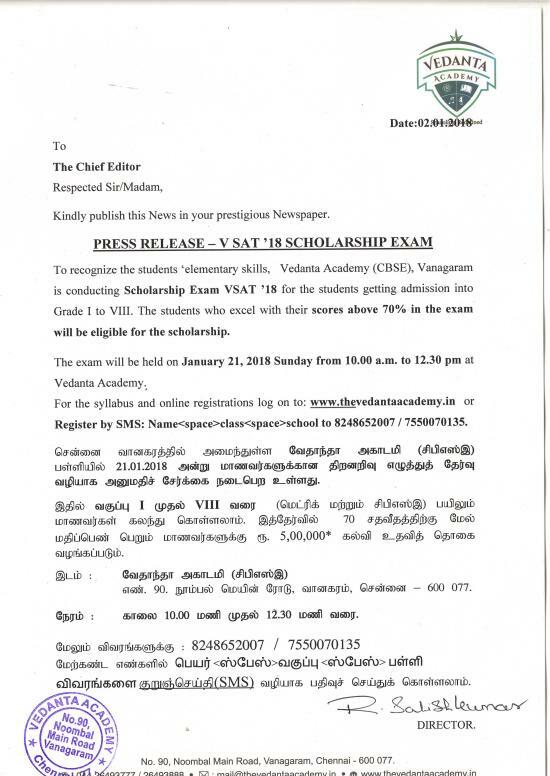 The exam will be held on January 21, 2018 Sunday from 10.00 a.m. to 12.30 pm at Vedanta Academy. 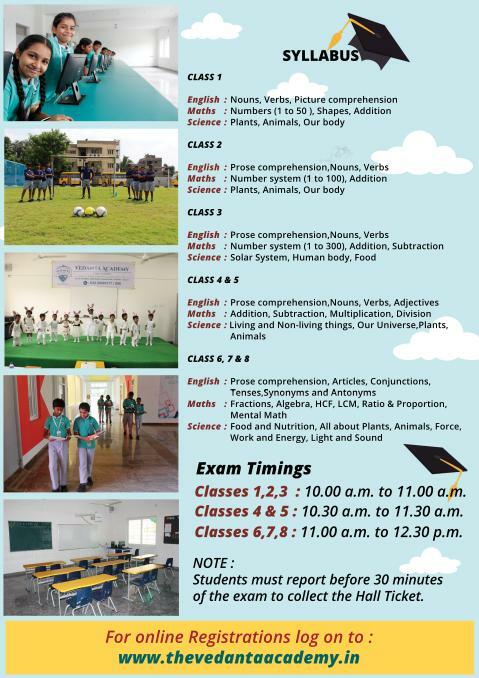 For the syllabus and online registrations log on to: www.thevedantaacademy.in or Register by SMS: Nameclassschool to 8248652007 / 7550070135.